Tweed is the type of material that can easily suit both formal styles and more casual ensembles. A grey tweed blazer is no exception to this rule and can pair brilliantly with everything from suit trousers to jeans. The thick and textured fabric is especially ideal for autumn and winter. Consider trying a grey tweed blazer with a pair of stone chinos, a white oxford shirt, and black dress shoes this cold season for an excellent semi-formal style. 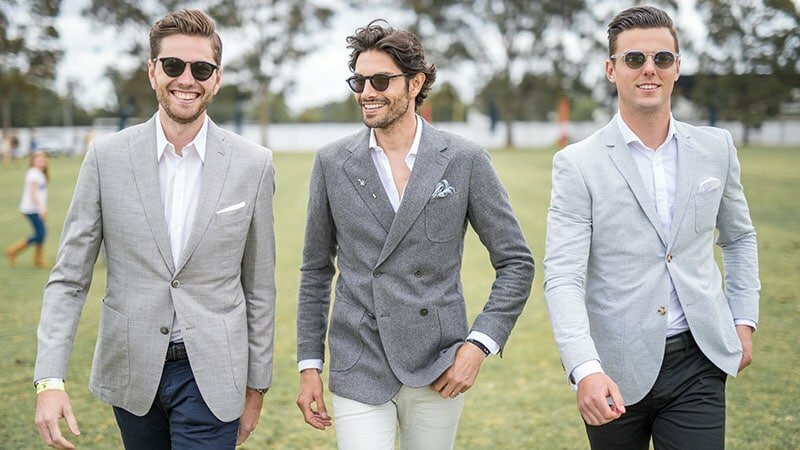 If you’re searching for a jacket that’ll work for smart casual and semi-formal looks, you can’t go past a grey linen blazer. 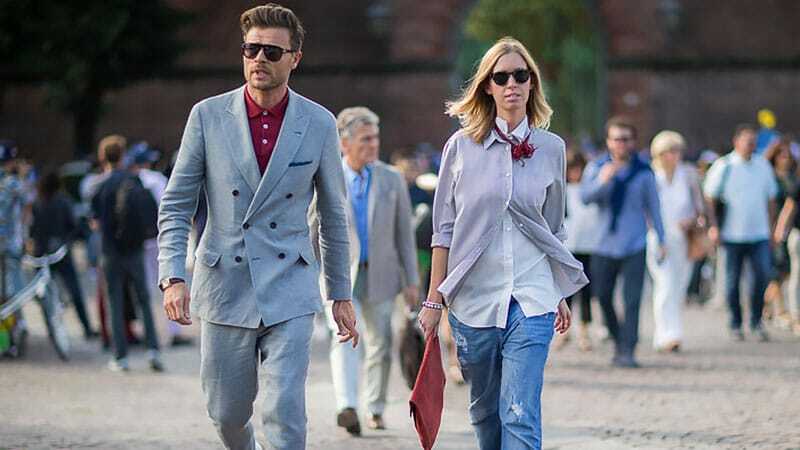 Although still polished in appearance, linen blazers tend to be lighter, thinner, and less structured than other styles, making them ideal for less formal outfits. Thanks to its highly breathable fabric, a linen blazer is also a great choice for summer in light shades of grey. Consider rocking a light grey linen blazer with light chinos, a white button-up or T-shirt, and loafers or sneakers for a stylish look. To ensure you always nail the right combination, follow these tips to matching a grey blazer with pants. When rocking a grey blazer with grey pants, you should choose pieces with a matching or similar tone, as shades of grey can vary vastly. 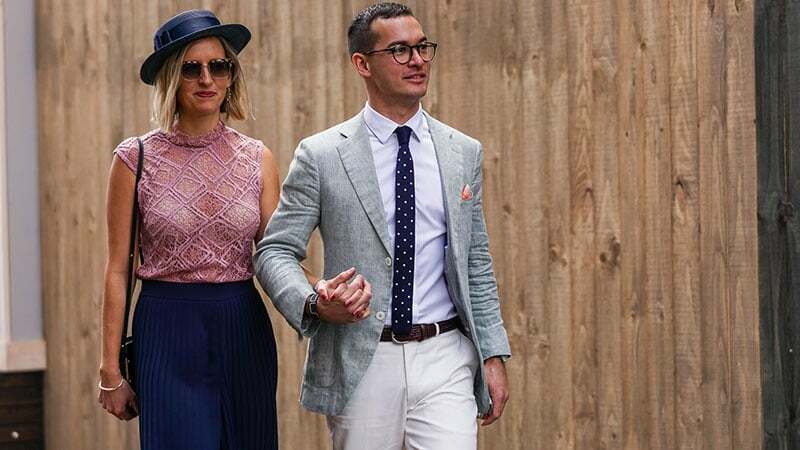 Once you’ve found a suitable pair or a suit, you can easily wear this look for formal functions and occasions with a white button-up and brown oxford shoes. If you want a more contemporary and fashion-forward look, on the other hand, try adding a casual vibe with an oxblood polo shirt and white sneakers. White pants can often be a difficult item to pull off. 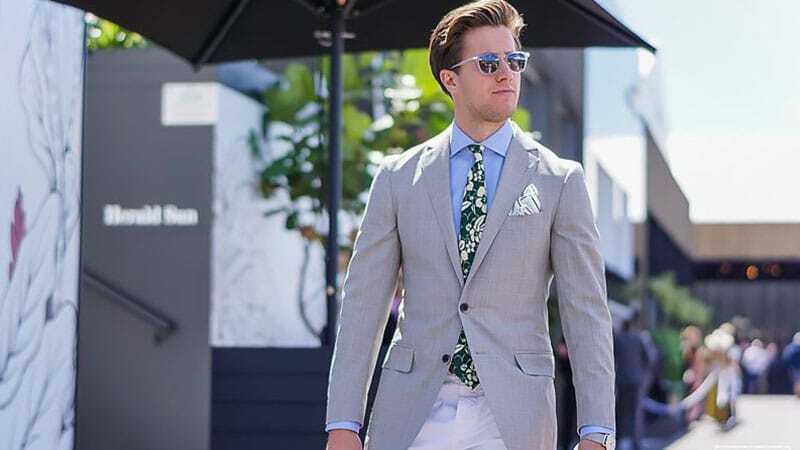 While both white and black blazers can leave an outfit with white pants appearing unbalanced, a grey blazer can complement the trousers perfectly. 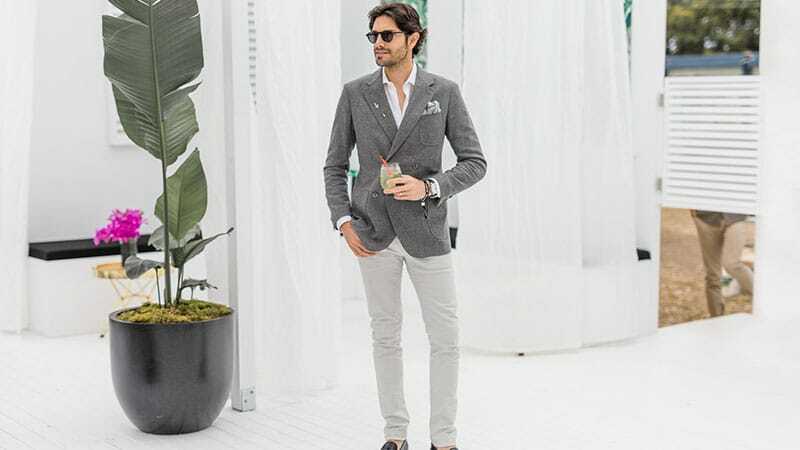 By selecting a light or mid-grey blazer to wear with your white pants, you can create a stylish look that’s perfect for summer. To keep the outfit sharp while adding a splash of colour, opt for a navy waistcoat over a white shirt and a brown belt and shoes. By pairing a grey blazer with black pants, you can create an outfit that is classic and contemporary all in one. Consider trying the look for your next formal event with a white oxford shirt, a black tie, and black loafers or oxford shoes. Just remember to opt for a light or mid-grey blazer to keep the outfit balanced. 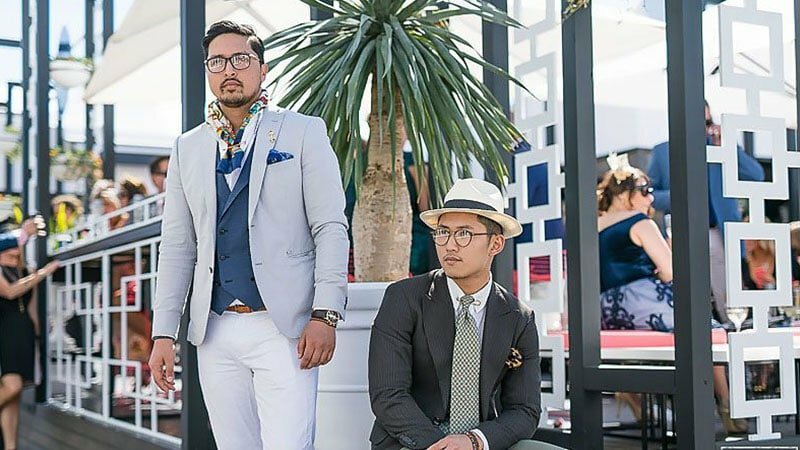 For gents who want to pair their grey blazer with something a little more colourful than grey, white or black pants, navy trousers can make an excellent option. The look is ideal for both business and cocktail events and appears polished and fashionable. As navy pants are dark, a slightly lighter shade on top with a mid-grey blazer can make an excellent option. To finish things off in style, choose a white oxford shirt, red tie, and black leather Chelsea boots. 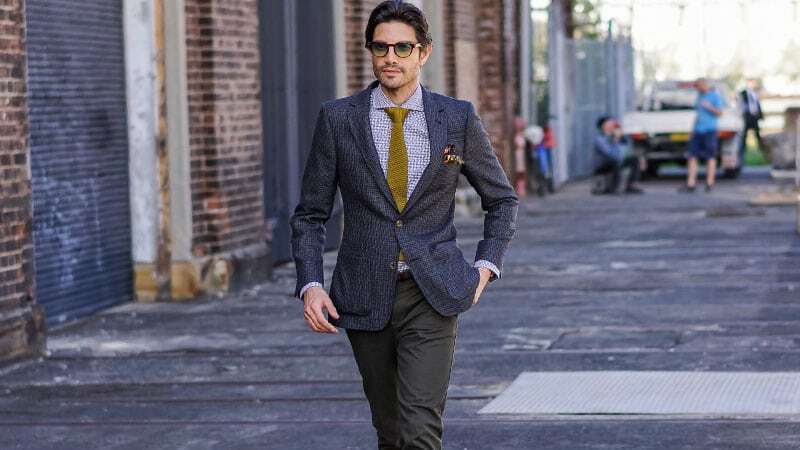 While a grey blazer can appear stylish and dapper as part of a formal outfit, it can also look cool and sharp when worn in a casual or smart casual way. 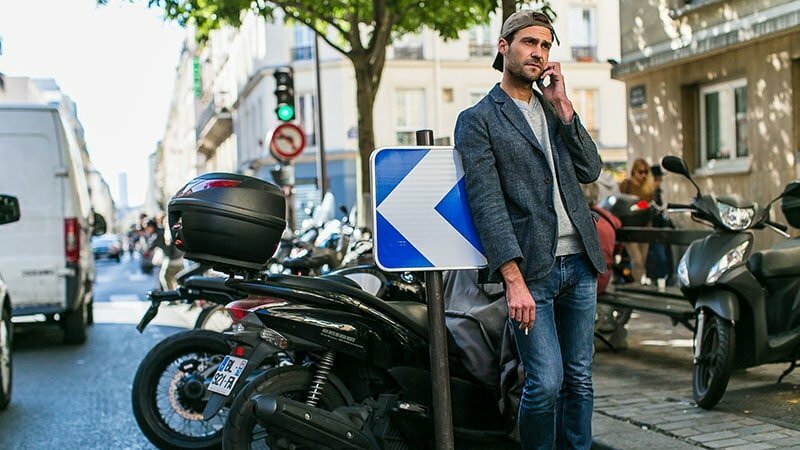 As such, pairing your grey blazer with a pair of jeans can be an excellent idea. Perfect for creating a simultaneously sophisticated and laidback look, wearing your blazer with jeans can be a great weekend option. Try rocking a dark grey blazer with a pair of slim blue jeans and either a T-shirt or a sweater for a top take on this style. Donning a blazer with a pair of chinos is a fail-safe method for achieving a semi-formal look in style. Of course, you can’t just wear any blazer and chinos. 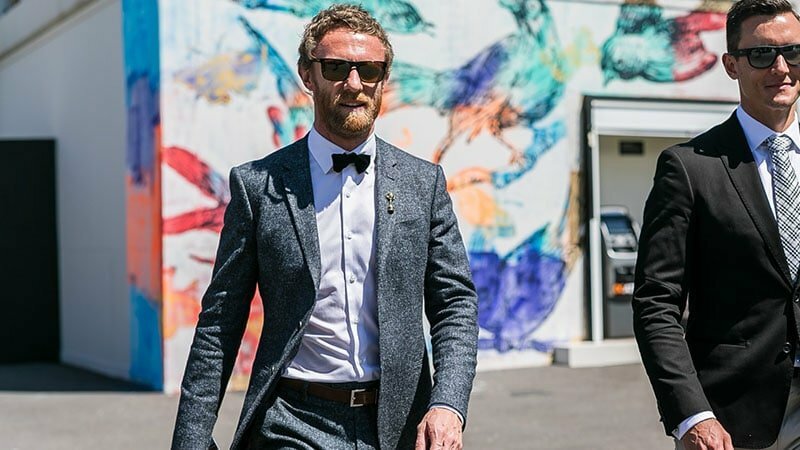 Colour is important, and a grey blazer can make an excellent selection. 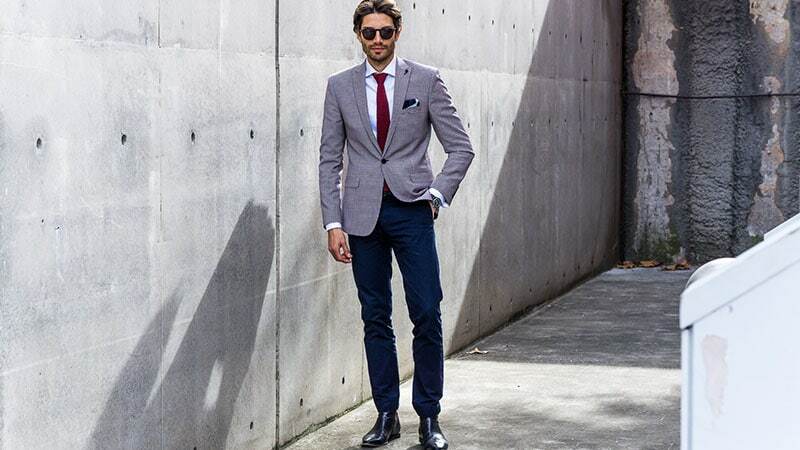 By pairing a mid-grey blazer with a pair of light grey chinos, you can create a seriously sleek outfit. Then, just finish things off with a white shirt and a pair of black loafers. No tie required. Choose between light, mid, and dark grey blazers to find the style that best suits you. Opt for a dark grey tweed blazer for a stylish winter look. Select a lightweight linen blazer in a light shade of grey for a sophisticated summer style. Wear your grey blazer with trousers in either matching grey, classic white or black, or a fashionable navy. Pair your grey blazer with chinos for a semi-formal style or jeans for a smart casual look.